Most travel destinations contain hidden natural beauty that wouldn’t be found on a brochure. Thanks to resources like Pinterest and Instagram, these hidden gems have been revealed, and people are becoming increasingly motivated to travel to destinations based on beautiful images and secret-revealing articles to explore these natural wonders in what is deemed ecotourism. The beauty of Eco Tours are that they provide education on protecting these natural havens and allow you to encounter wildlife in their undisturbed natural habitat providing a truly one-of-a-kind vacation experience through an authentic connection with nature. With the unique creatures and landscape of the Caribbean, ecotours are one of the top things to do for an unforgettable visit in St. Thomas. The ecosystems of St. Thomas and St. John are rich with flora and fauna as land and sea come together with rare natural finds such as mangrove lagoons, bird sanctuaries, and incredible coral reefs. Let me be your guide to the many destinations St. Thomas and St. John have to offer in ecotour excursions. Mangrove Lagoon- Mangroves are salt-filtering trees that grow together to form a forest in the sea. This relationship provides a sanctuary for marine life and remarkable coral among the roots of the mangroves. Take an ecotour kayaking through the St. Thomas Mangrove Lagoon to some of the best snorkeling the island has to offer or experience the wonders of the lagoon after dark including rare marine life encounters under a spectacular starry sky on a Night Kayaking Tour. Bird Island- Let a naturalist guide you as you kayak through the mangroves on an Ecotour to Bird Island. Spot egrets and pelicans nesting on the bird sanctuary as you circle the island and watch the birds take flight at sunset on this St. Thomas excursion. Cas Cay- On the Ecotour to Cas Cay, you’ll begin with a kayak through the mangroves to the wildlife sanctuary at Cas Cay where you’ll hike across the cay to its many natural attractions. 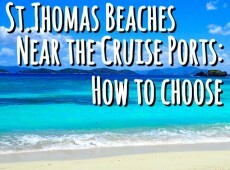 Participate in some truly unique St. Thomas activities like a hermit crab race as you marvel at the abundant population and hiking the beautiful volcanic cliffs to the famous Red Point Blow Hole. This ecotour includes a little bit of everything: hiking, kayak, and snorkeling, all in an extraordinary natural location to form the perfect tour excursion for your trip to St. Thomas. Caneel Bay- This bay in St. John is one of the top spots on the island where famous Caneel Bay Resort and beautiful Honeymoon Beach dwell on its shores. Begin your Caneel Bay Ecotour with a kayak across the bay where sea turtles and stingrays are often spotted and known to breach the surface. Stop for a hike and visit to secluded Scott Beach then continue your kayak journey to Henley Cay. This ecotour excursion highlights the natural beauty of St. John from sea to shore in all the best ways with a kayak, hike, and snorkel tour. Henley Cay- Discover some of the best views and snorkeling available off the coast of St. John on the Ecotour to Henley Cay excursion. Kayak to remote Henley Cay surrounded by healthy coral reef, schools of fish, and plentiful marine life. Then lay out on its sandy shore looking back at Caneel Bay and Honeymoon Beach or hike to the highest point for a breathtaking view of the British Virgin Islands. Kayak, snorkel, and soak up the sun and incredible views with an ecotour excursion to Henley Cay. Honeymoon Beach- An All-Day Watersports Package to Honeymoon Beach is a beach-bum’s paradise for ecotour excursions. Kayak, paddleboard, and snorkel throughout the bay, spotting fish, bright coral, and abundant marine life, or simply lounge on your beach chair or float mat for a relaxing day at beautiful Honeymoon Beach. Make that Pinterest board your reality. 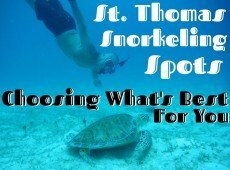 Swim with sea turtles, hike secluded islands, be the only person you know who has snorkeled through mangroves, and start experiencing the natural wonders of the Caribbean on an ecotour excursion in St. Thomas and St. John. 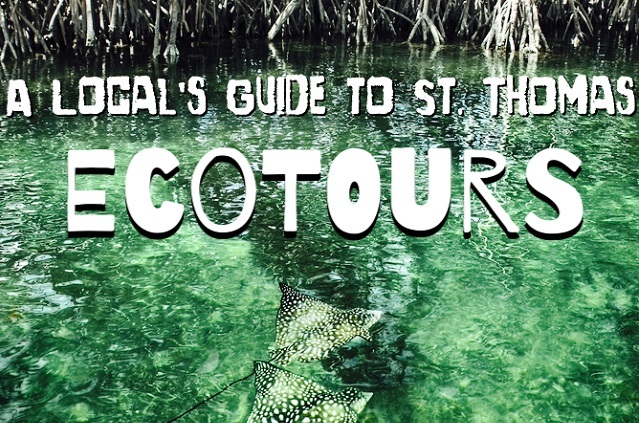 Be sure to check out our Eco Tours page for the best ecotours on St. Thomas! 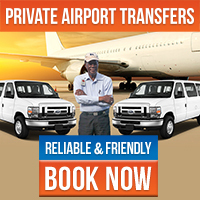 If you have any questions about St. Thomas or St. John ecotours or any inquiries about the islands, call or e-mail us for authentic local insight! 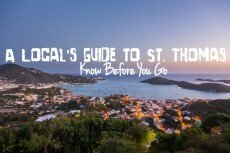 A local guide to the many things to do on an ecotour excursion in St. Thomas and St. John.